Cheapest it's been @ Amazon by £12+, the average price they've sold ot for previously is £43.04, great reviews, my niece has this one & it is really sturdy for her. Creativity Central! 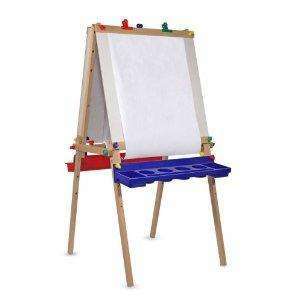 This double-sided, wooden easel features both chalk and dry-erase boards. 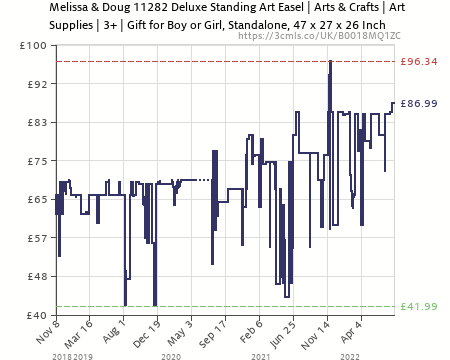 With adjustable heights it also includes a locking paper roll holder, a child-safe paper cutter, four clips, and a plastic tray on each side for easy-reach art supplies (not included) and easy-clean storage. With easy assembly, there’s little waiting for the next masterpiece. The price has dropped even lower now £22.61 - just bought thanks.